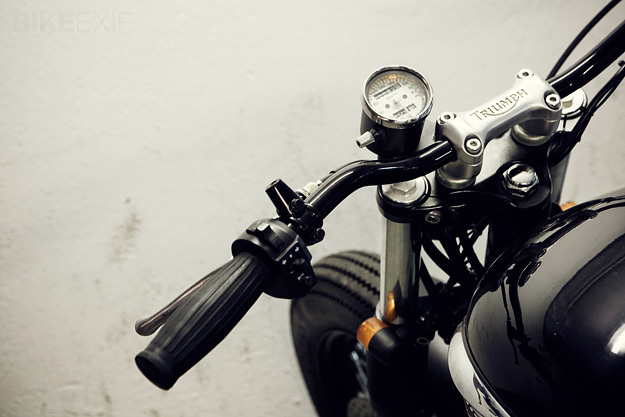 A lot of custom motorcycles are capricious creatures: pretty but impractical. 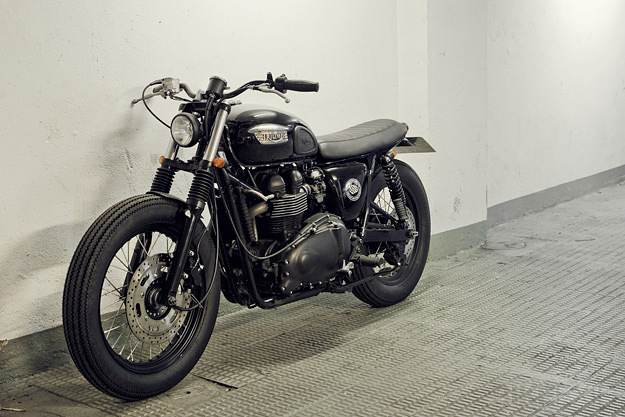 Others are bikes that you can jump on and ride to the shops, and this Triumph Bonneville is one of them. It’s the latest build from the Spanish workshop CRD, and follows the current European trend towards pared-down, blacked-out machines. The base is a 2004 Bonneville, and it shows how Hinckley’s modern classic can be transformed by relatively subtle modifications. CRD have left the engine alone, but improved the breathing with an Arrow exhaust. 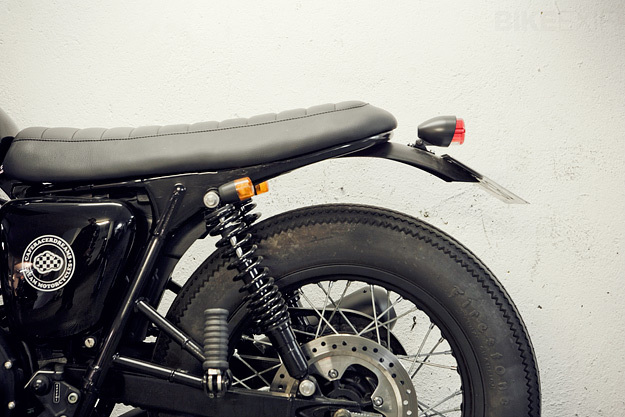 The biggest changes are at the back, with a new seat, modified subframe and new fender. CRD also repositioned the tank slightly to enhance the new lines of the bike, simplified the wiring, and moved the ignition key to the chassis. At the front, there are now Renthal Ultra Low bars (fitted with DRC enduro-style switchgear) and a new CRD custom headlight. A Kitaco mini speedo helps keep things clean and uncluttered. The aluminum rims are new—with the rear going up a size to 18”—while tires are the ubiquitous Firestone Deluxe Champion. It’s unpretentious, simple and no doubt very rideable. 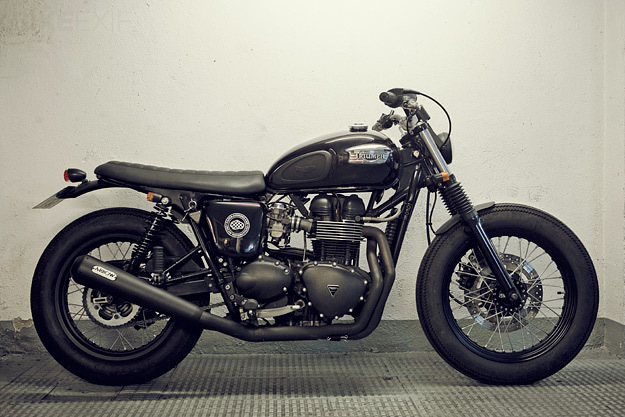 The new owner, Iñaki, is going to enjoy this Triumph Bonneville. See more pictures and get the full specs on the CRD website.